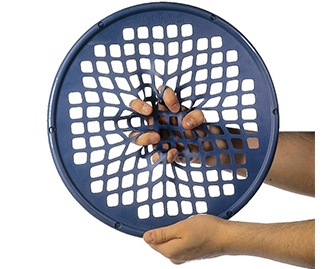 Used for strength retraining in home and rehab settings to help patients recover hand and motor function. Great for stroke sufferers or people with hand weakness. Place fingers through the holes and attempt to pull, squeeze and twist to improve strength.